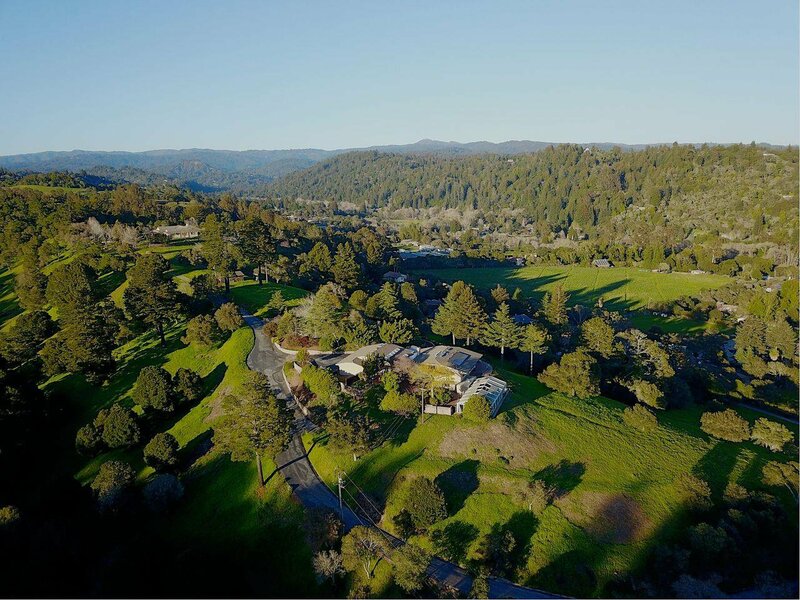 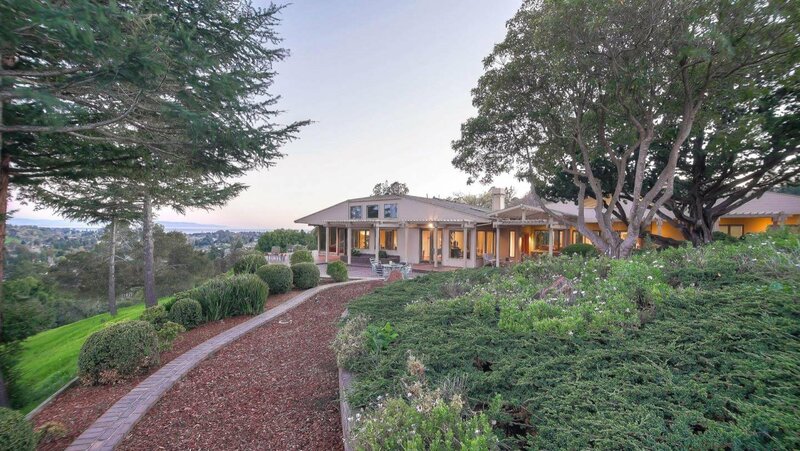 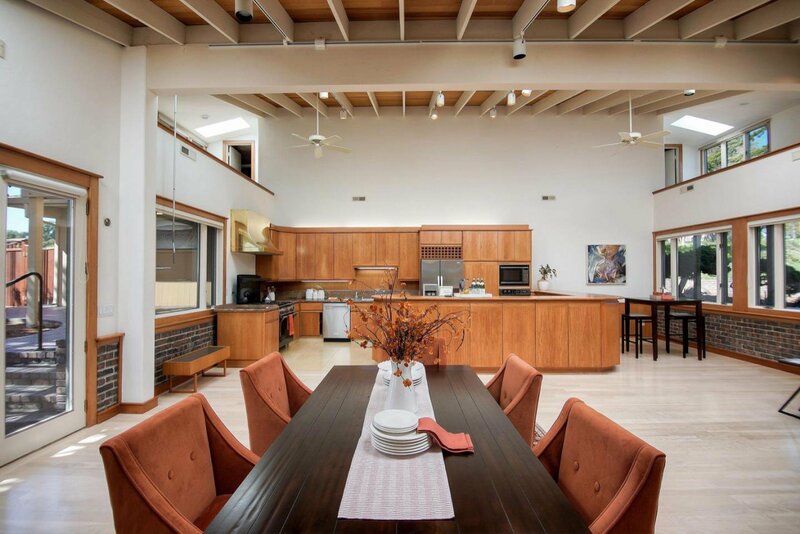 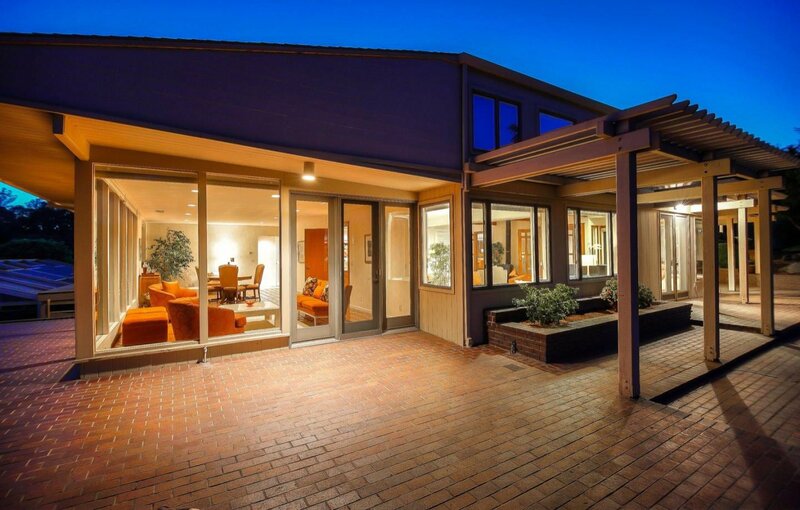 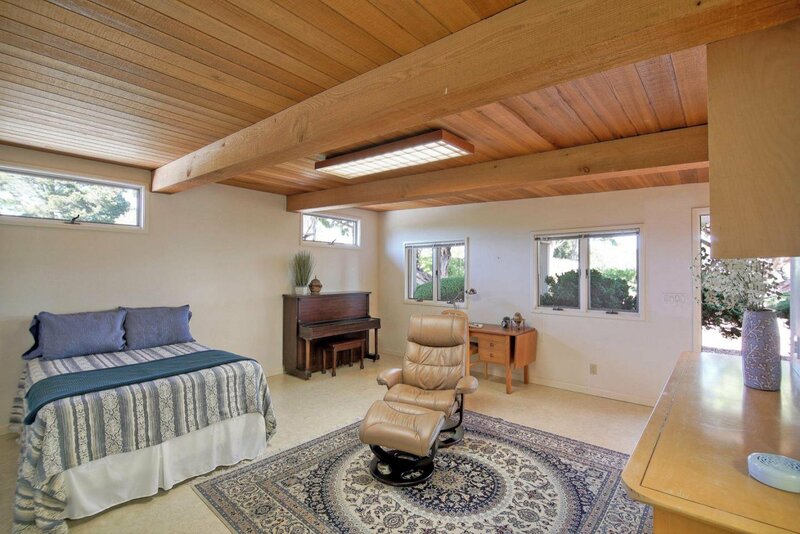 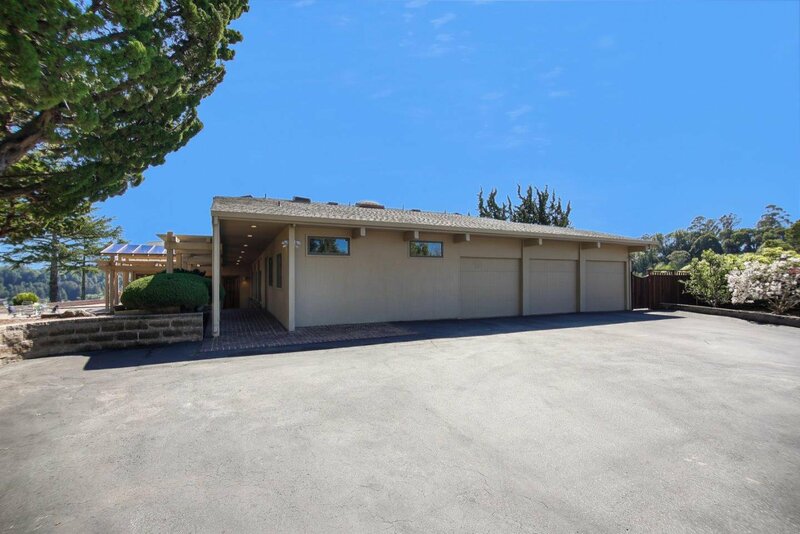 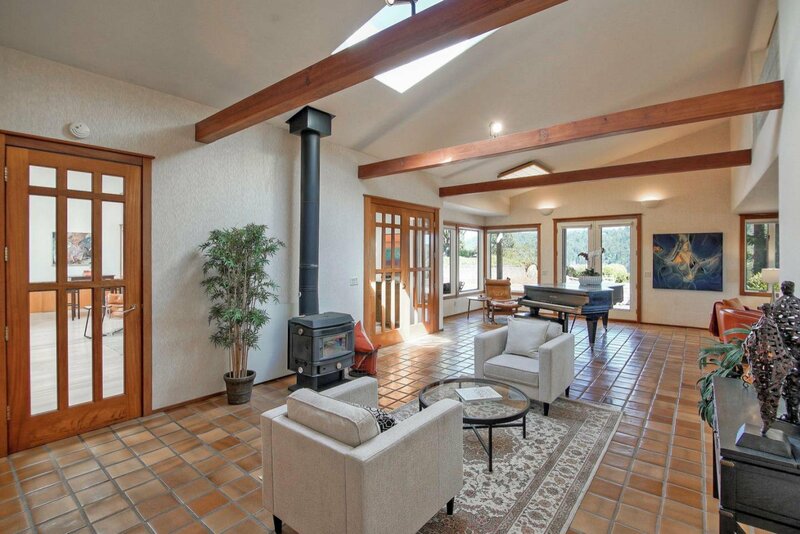 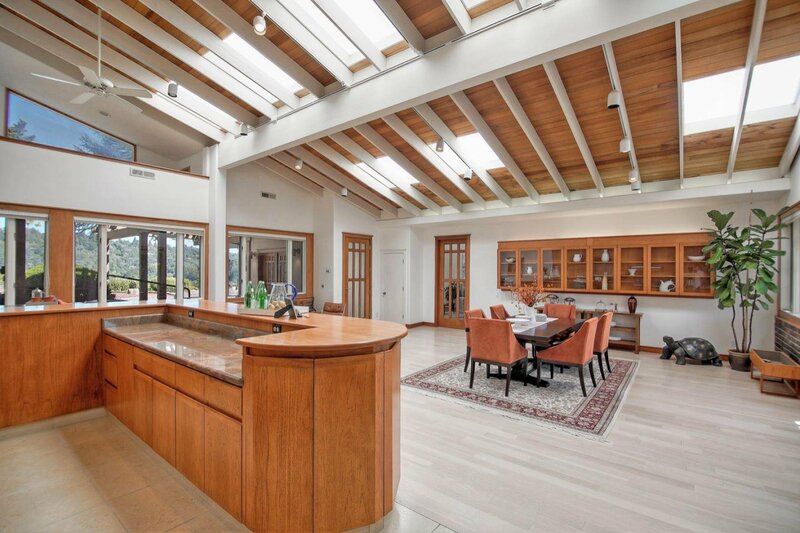 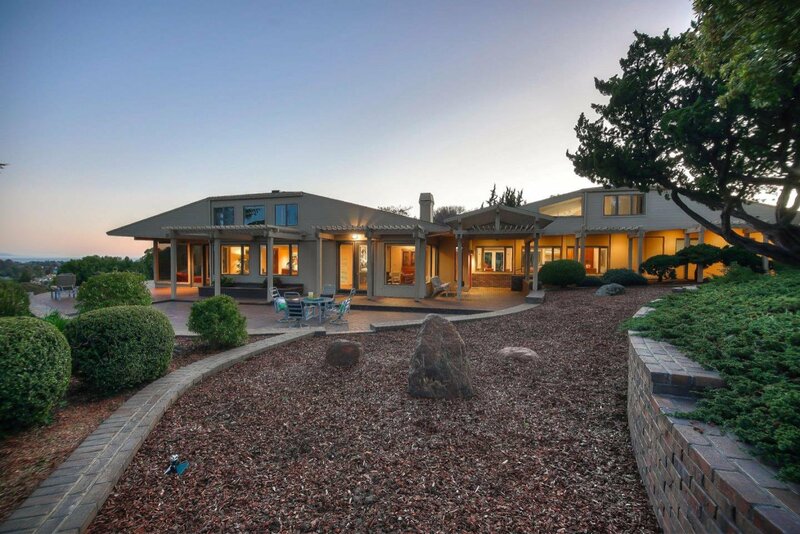 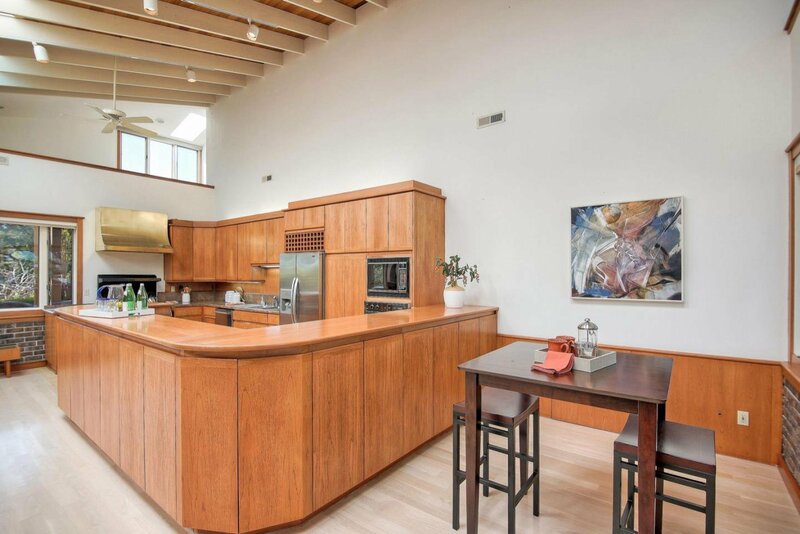 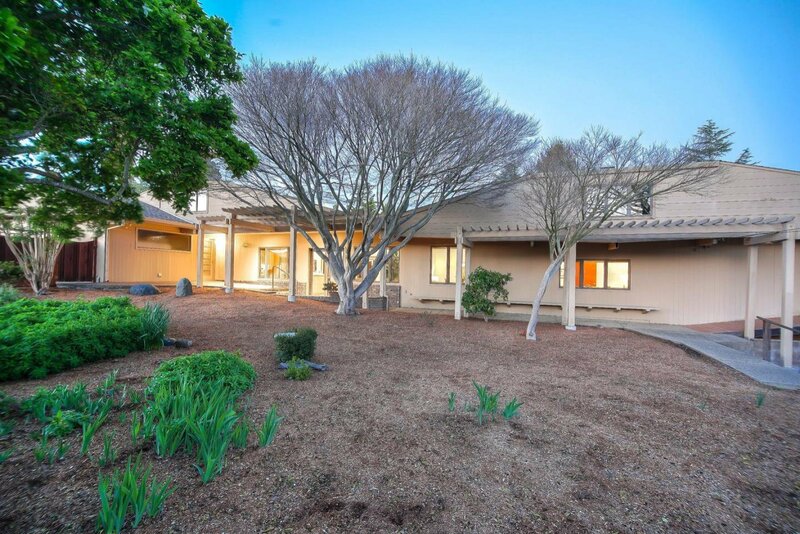 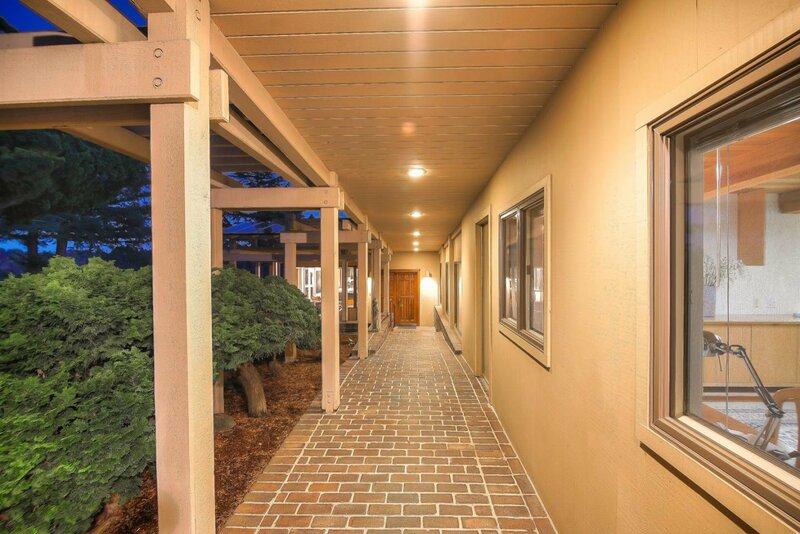 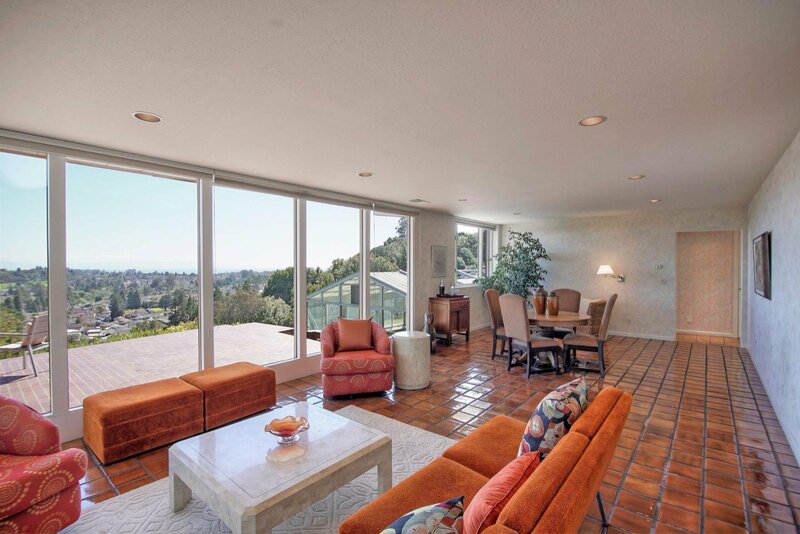 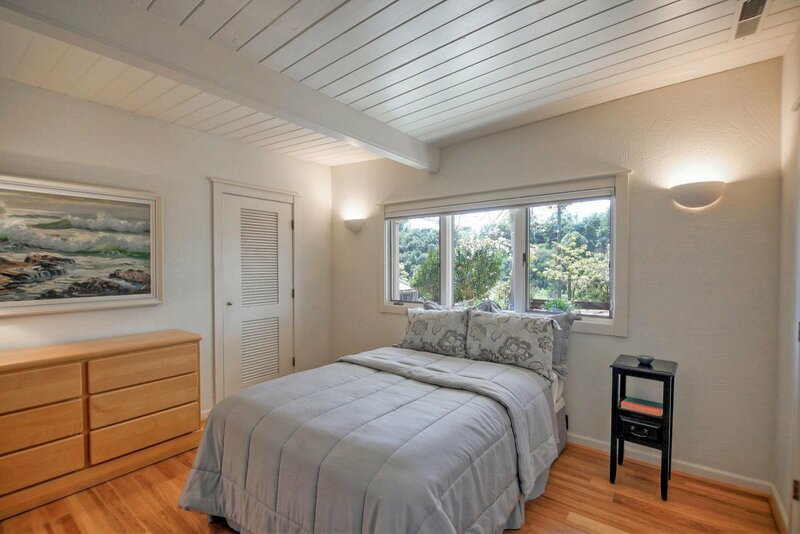 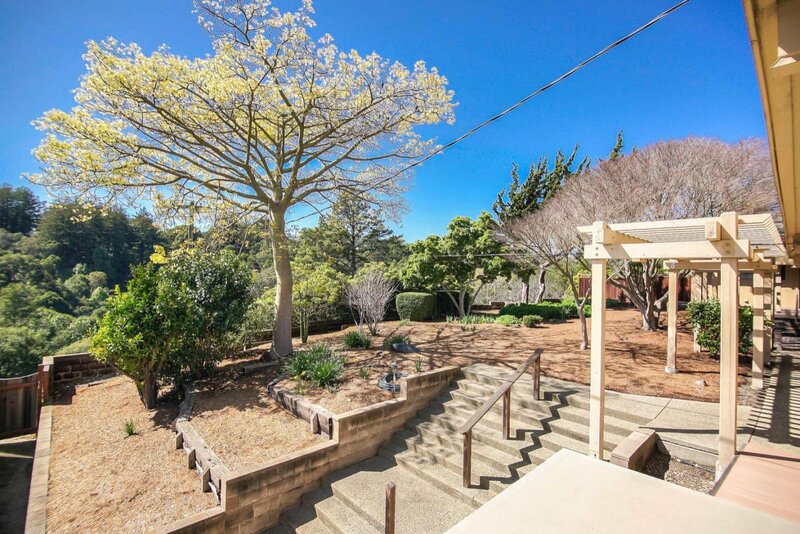 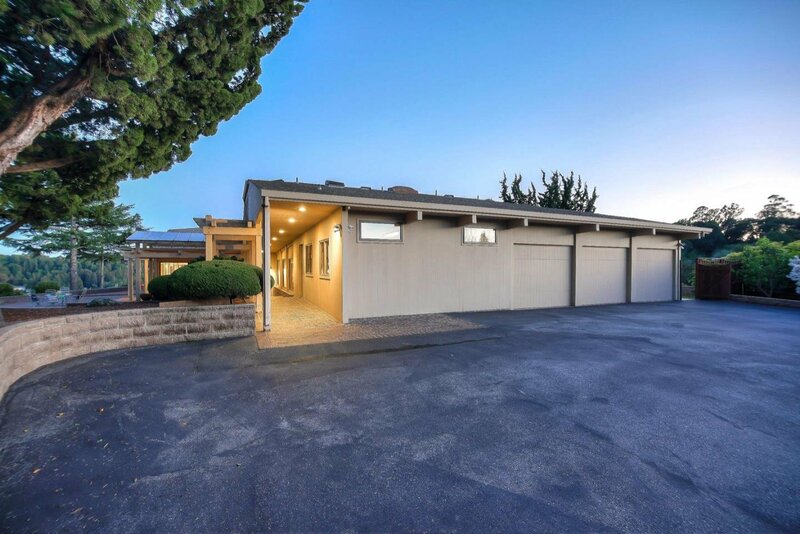 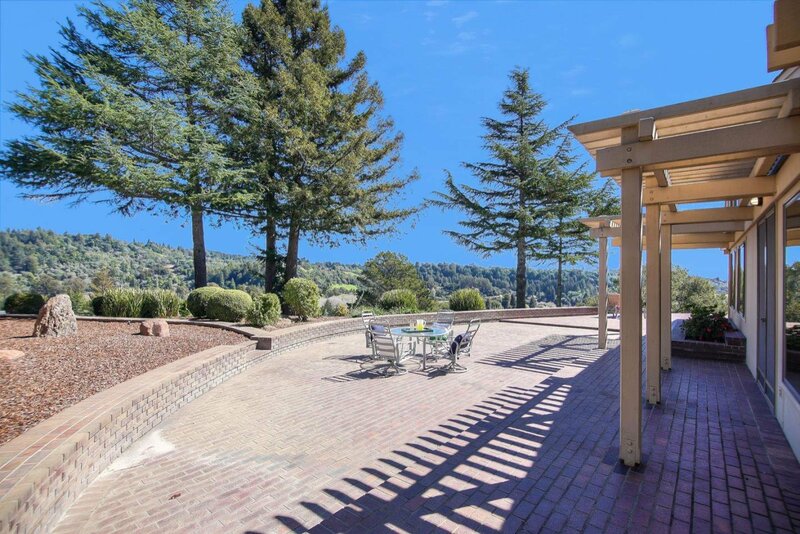 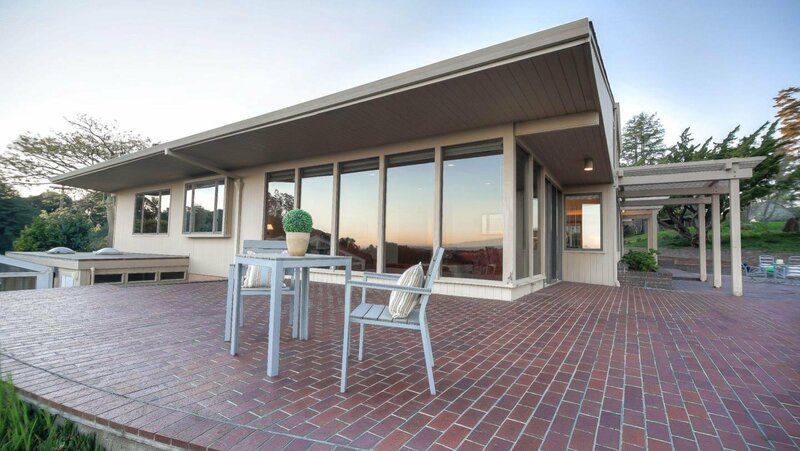 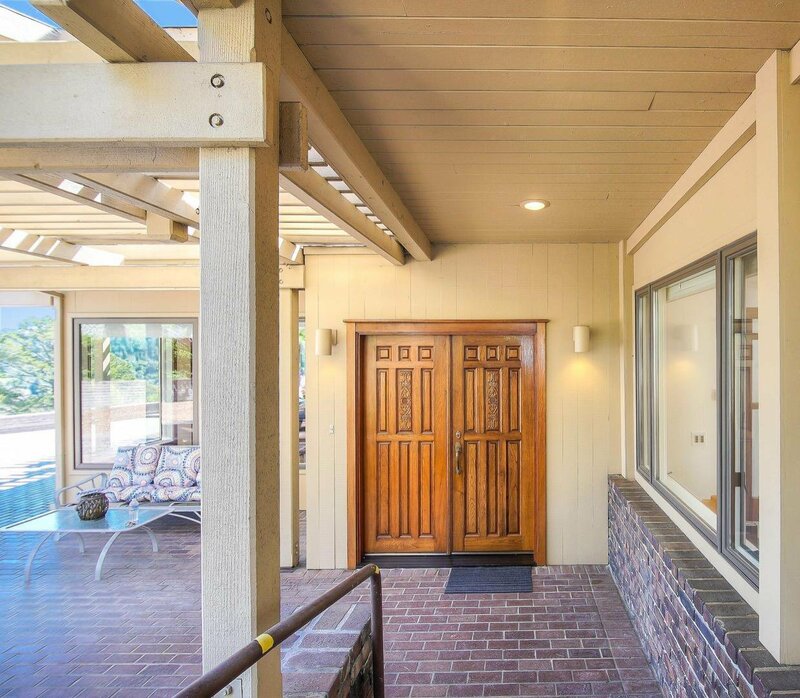 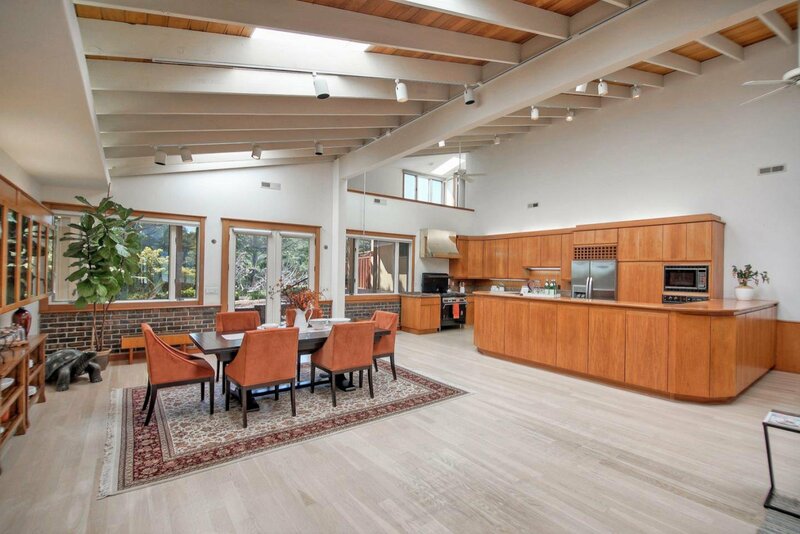 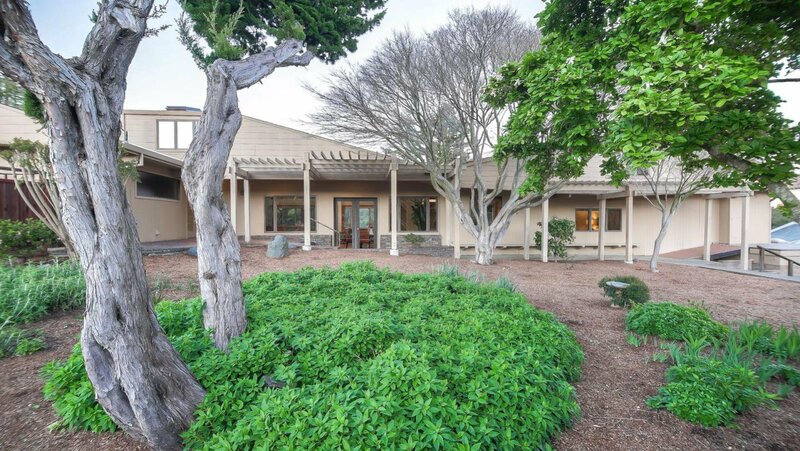 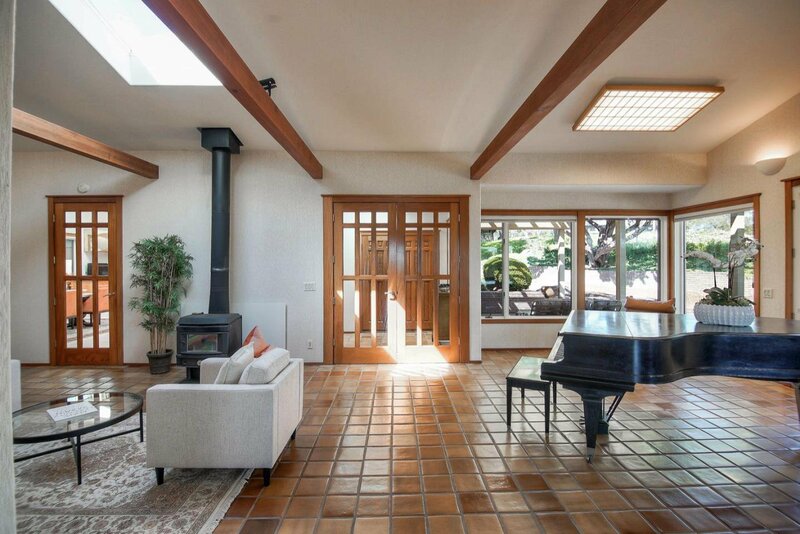 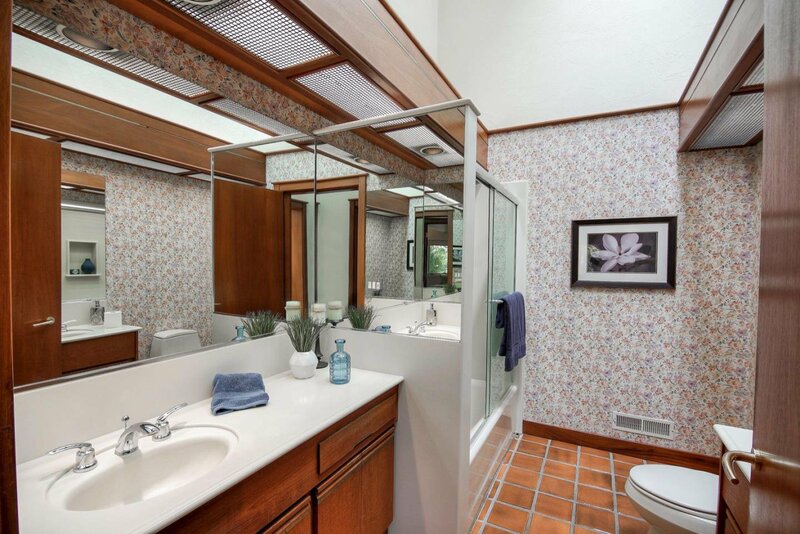 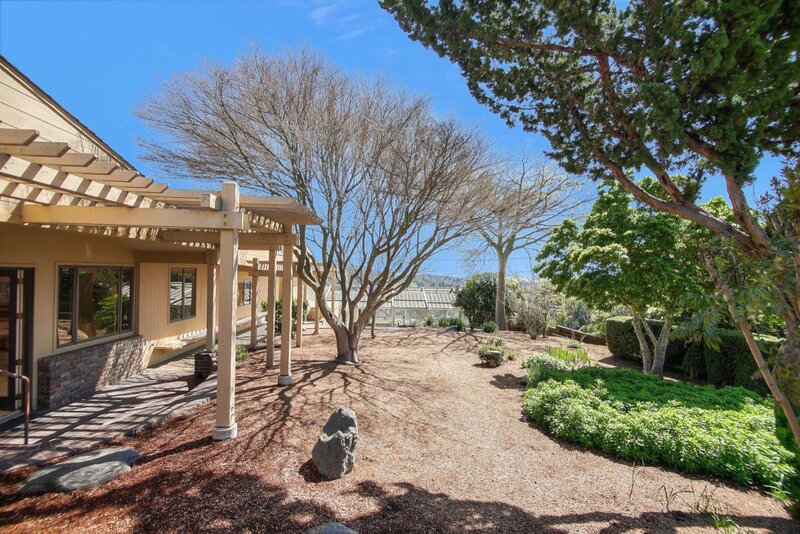 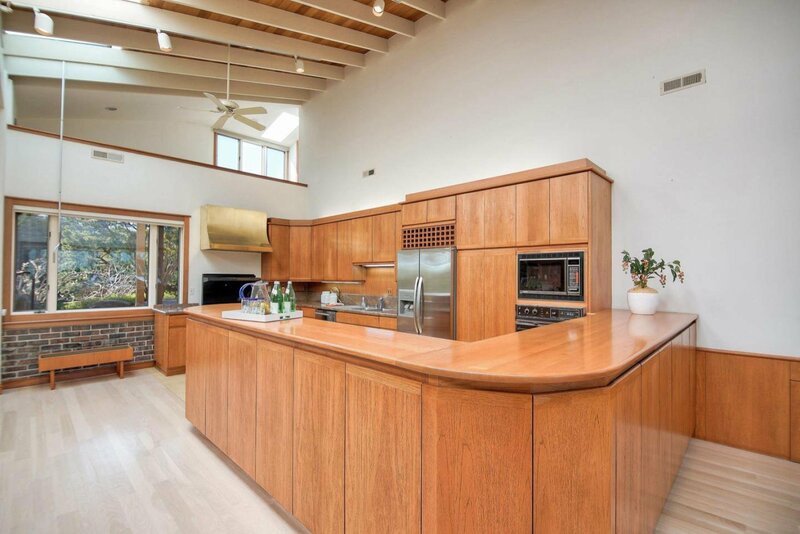 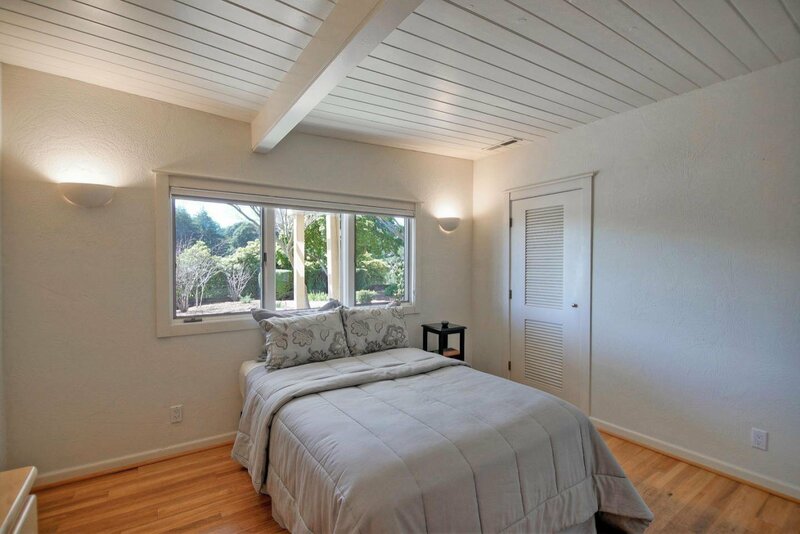 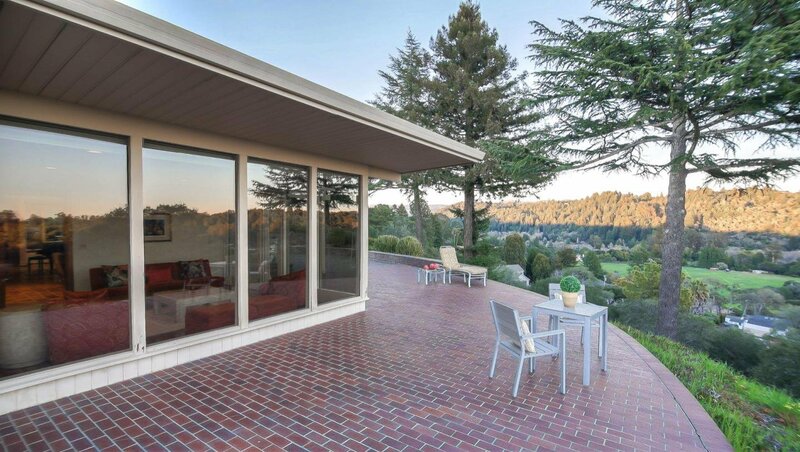 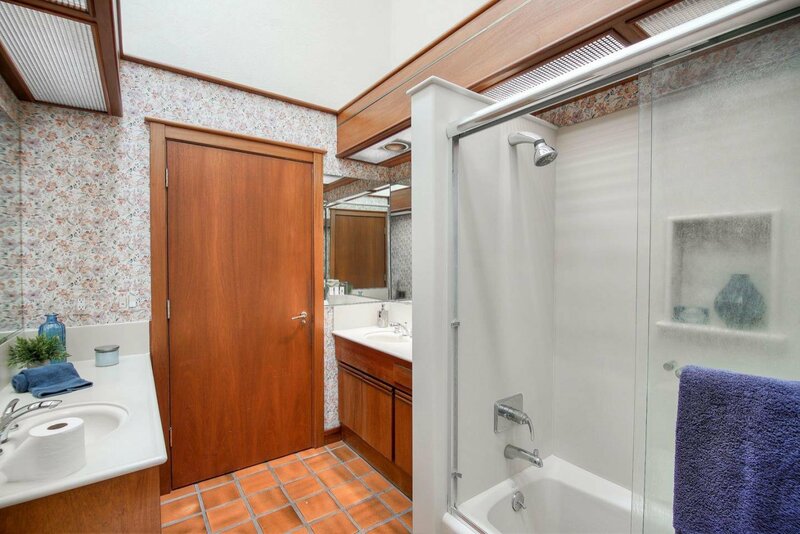 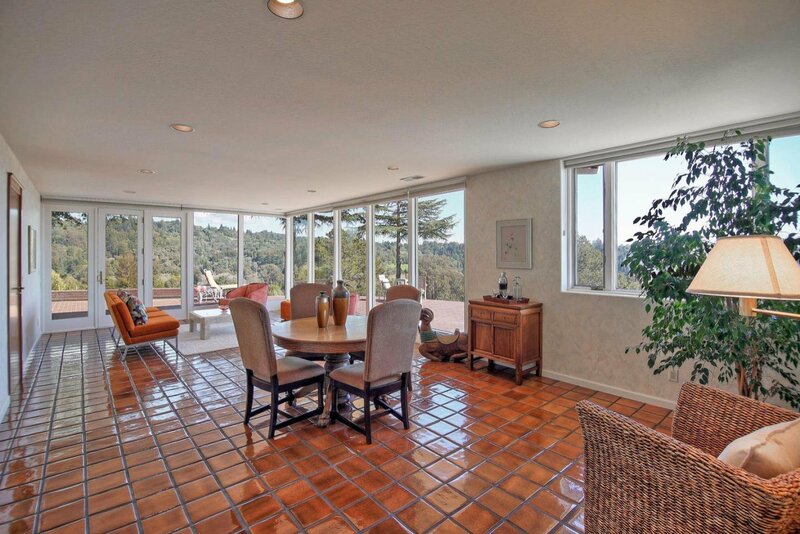 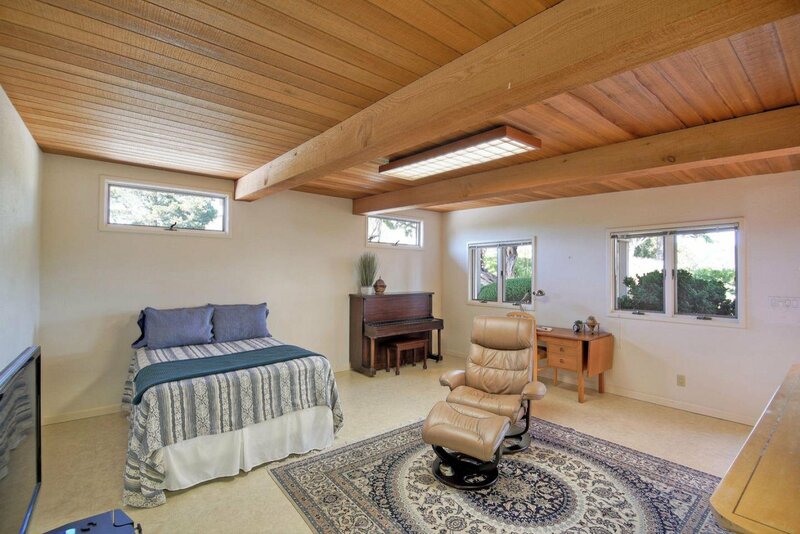 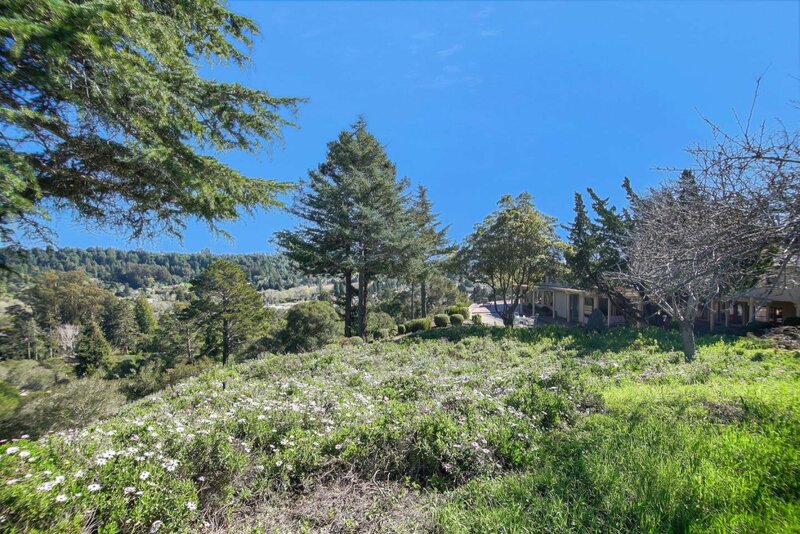 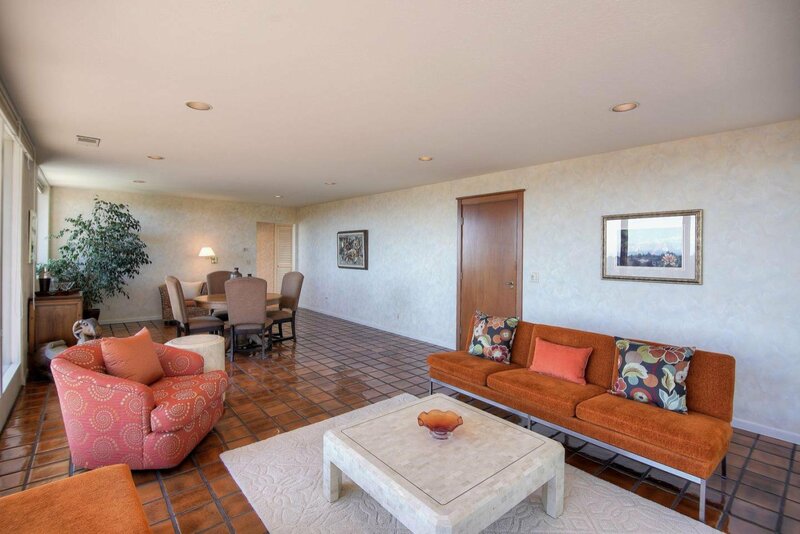 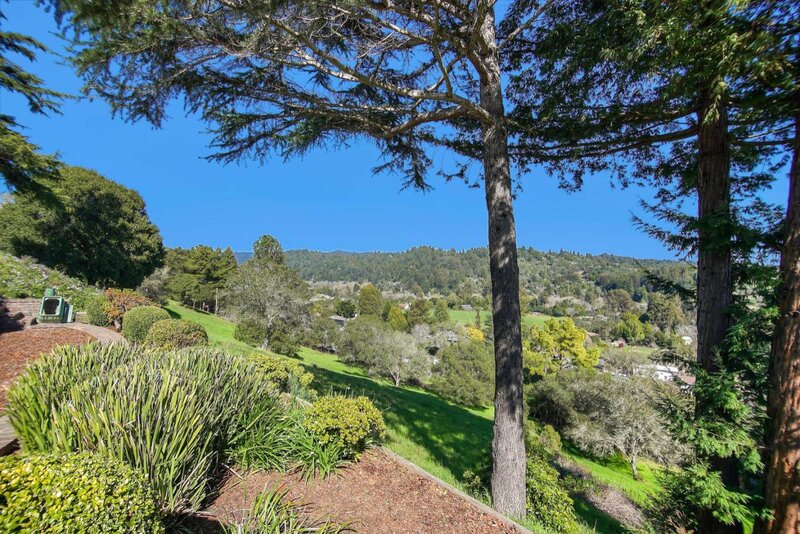 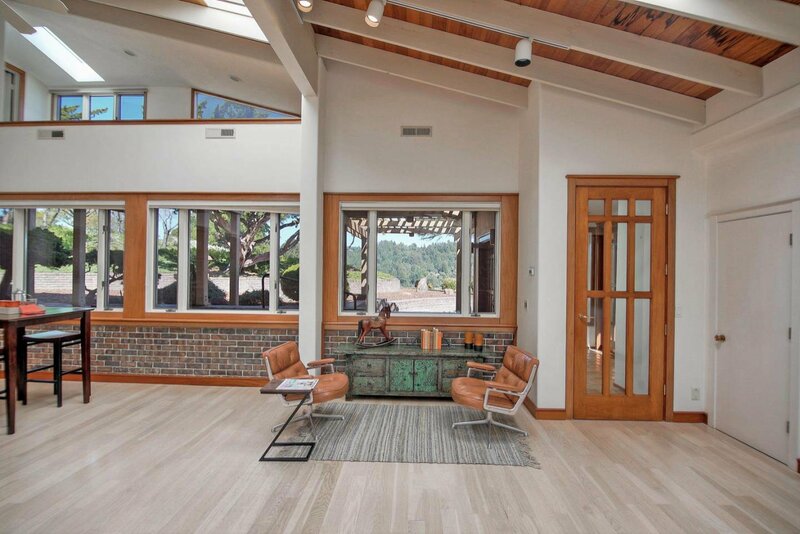 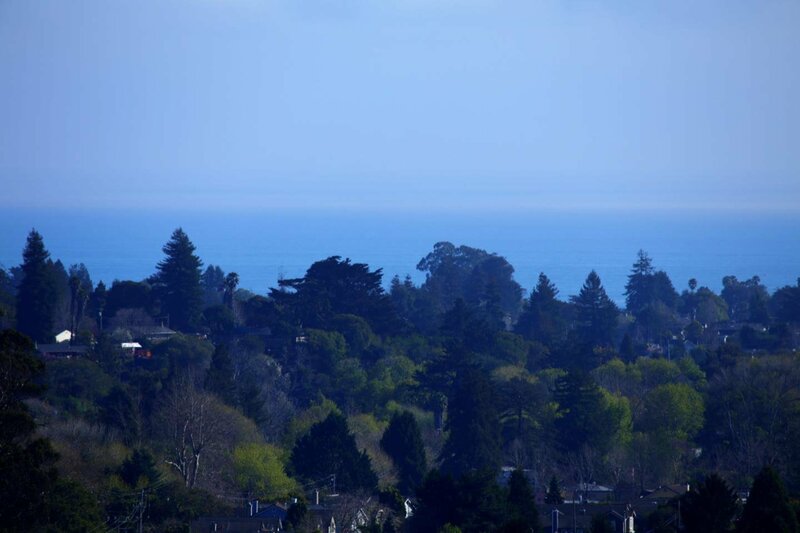 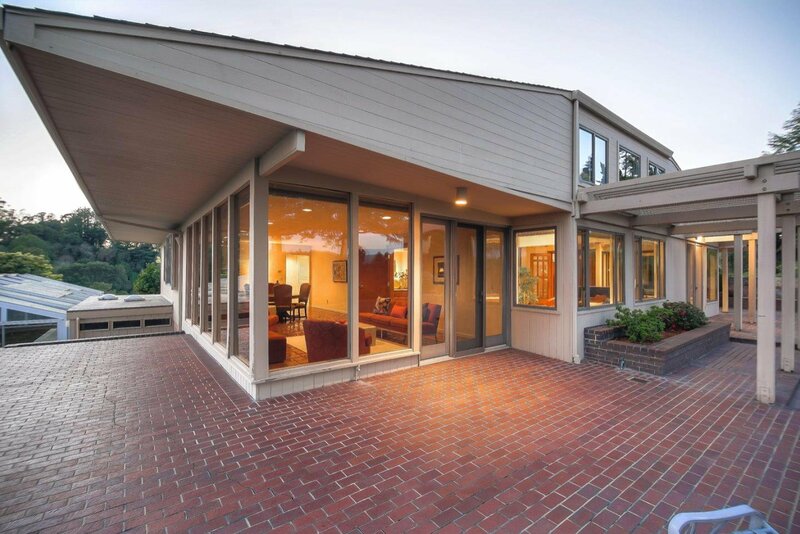 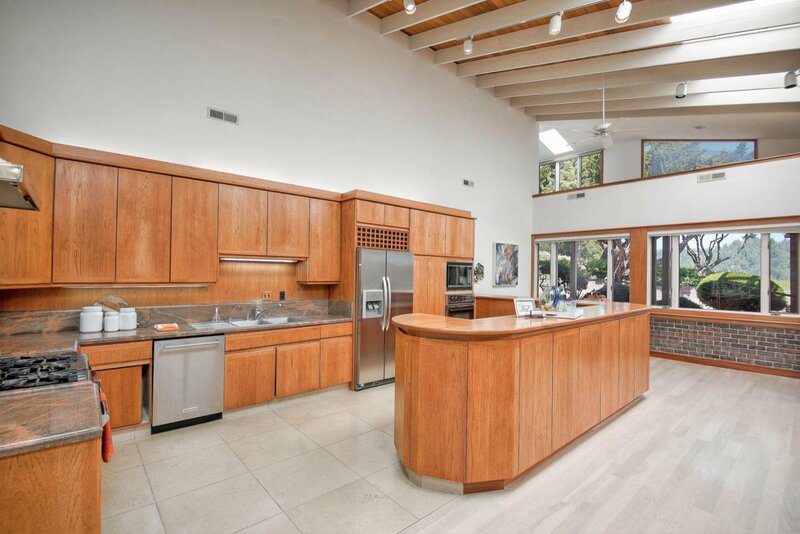 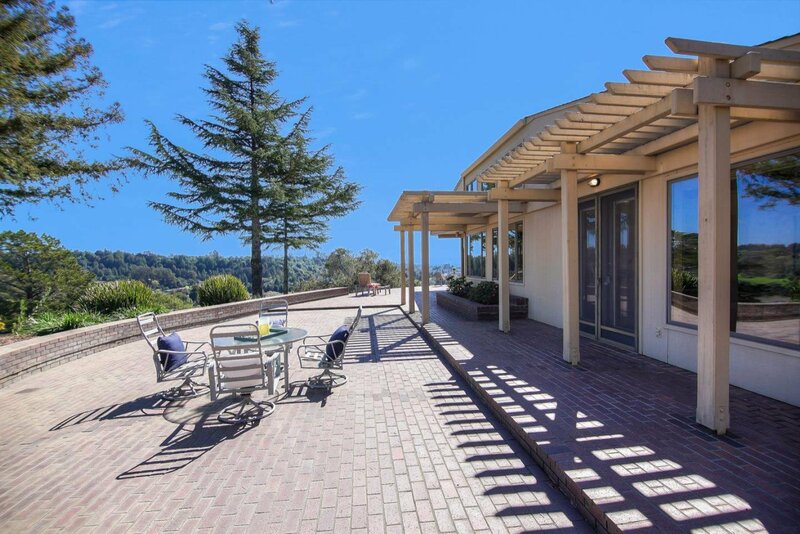 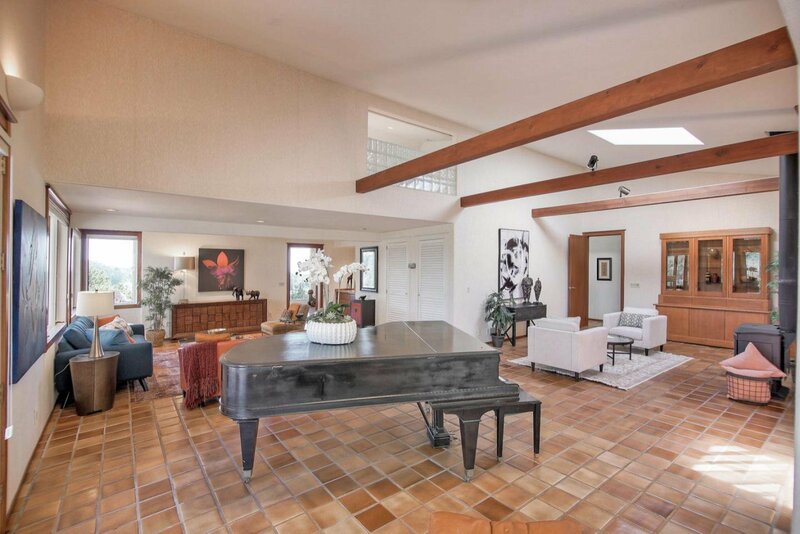 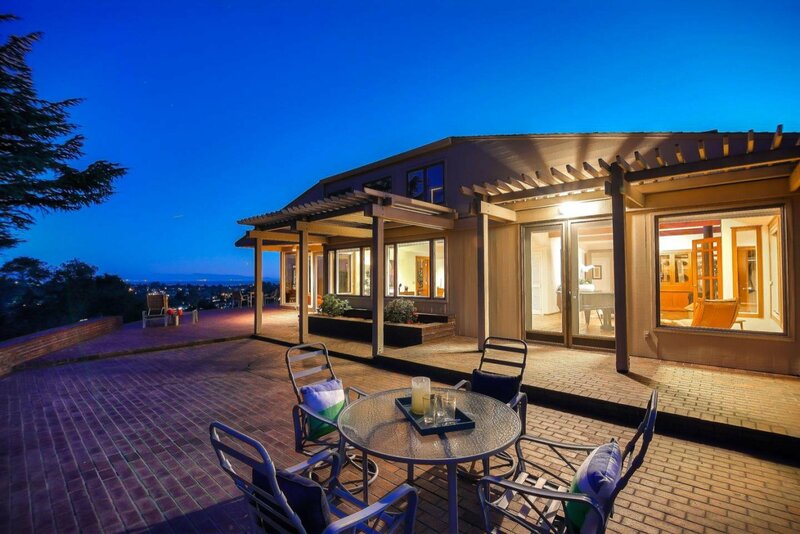 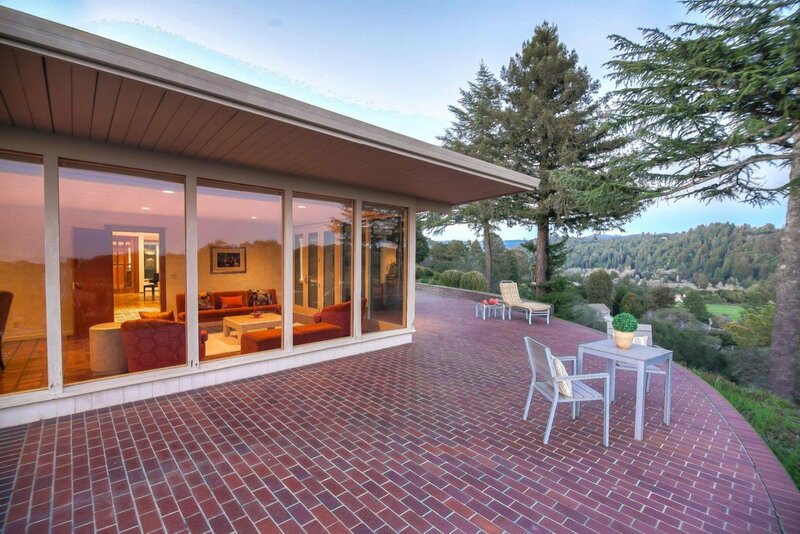 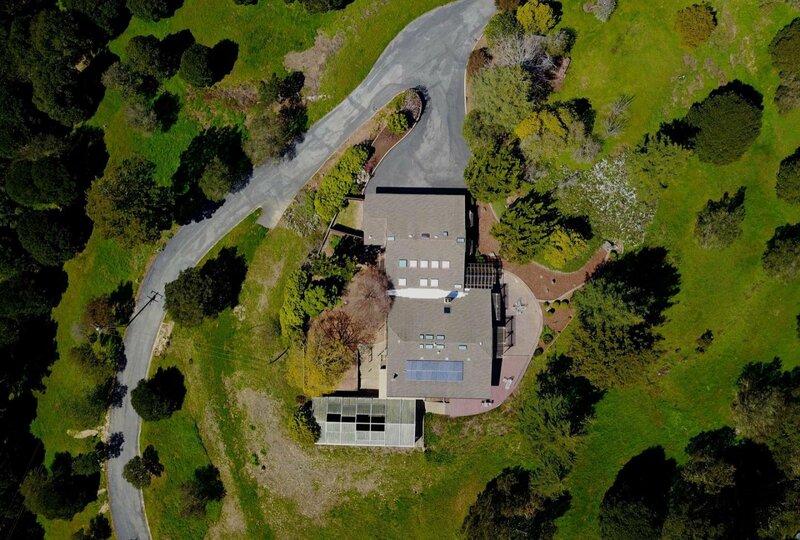 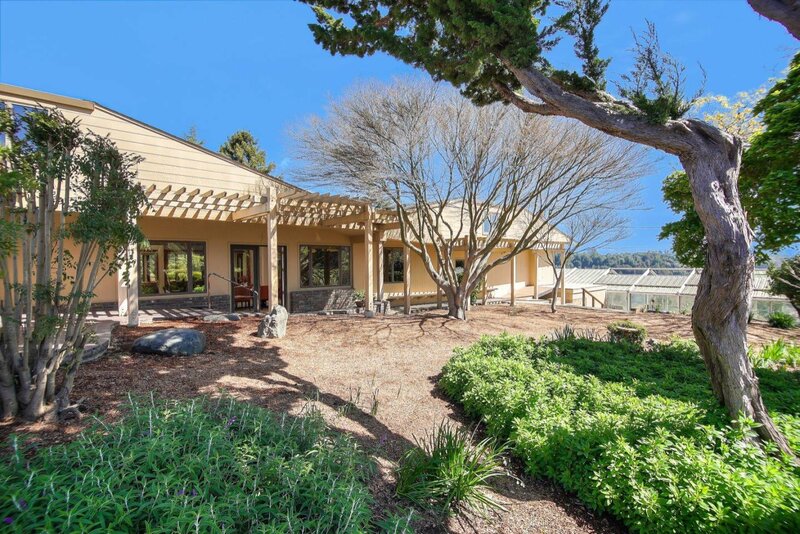 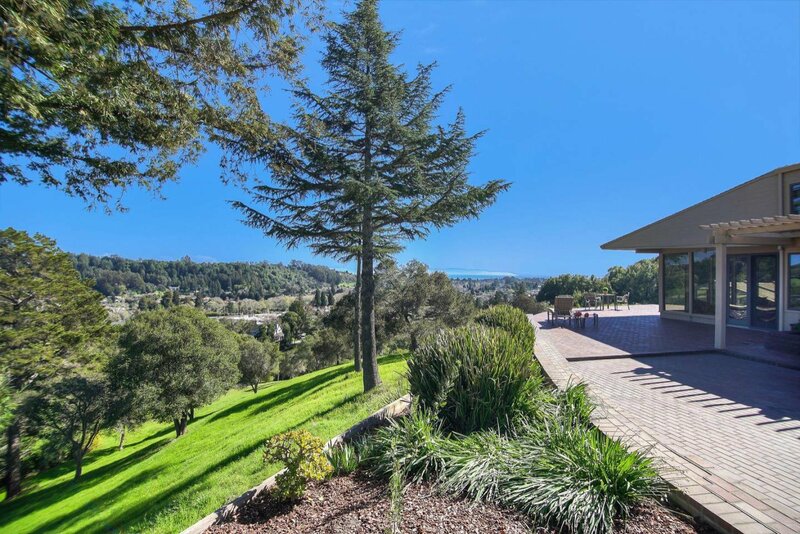 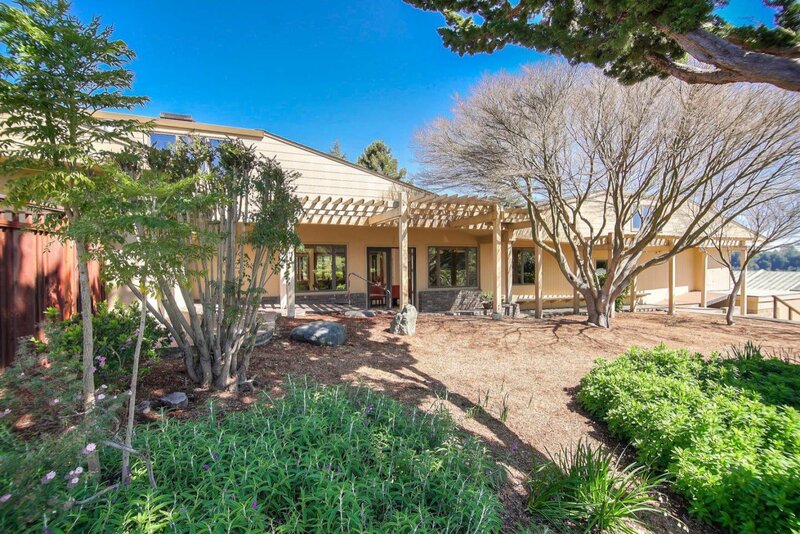 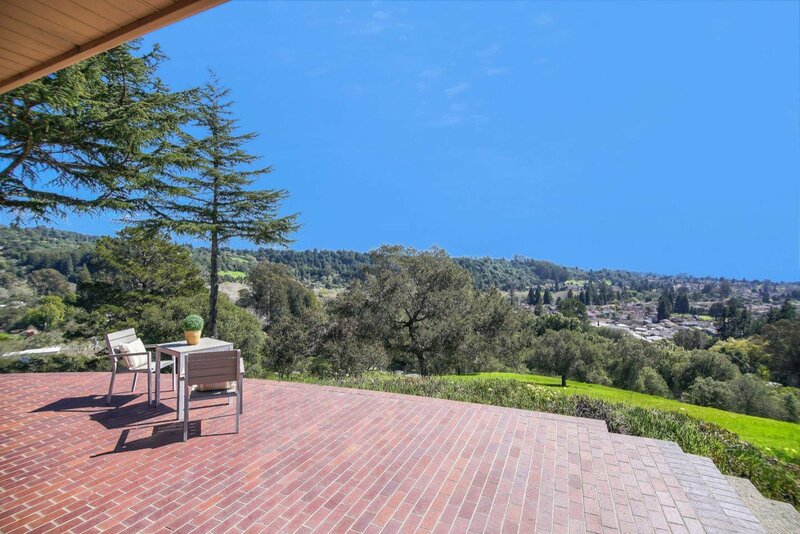 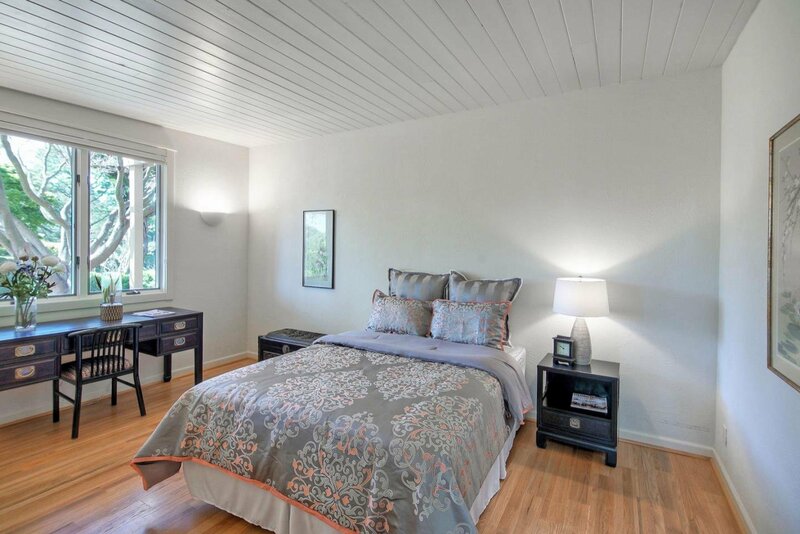 Savor the craftsman charm and spectacular views of the Monterey Bay from this four bedroom, three bath mid-century modern home. 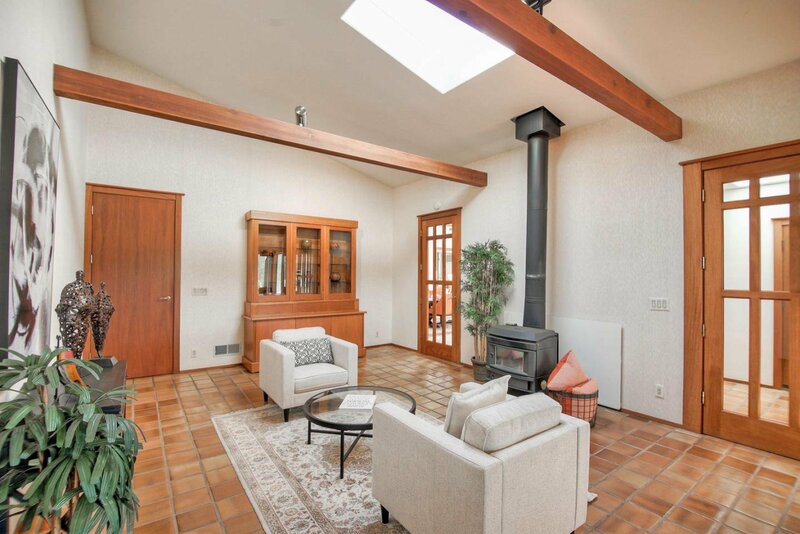 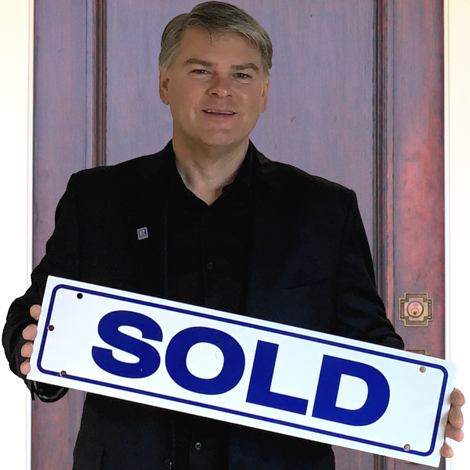 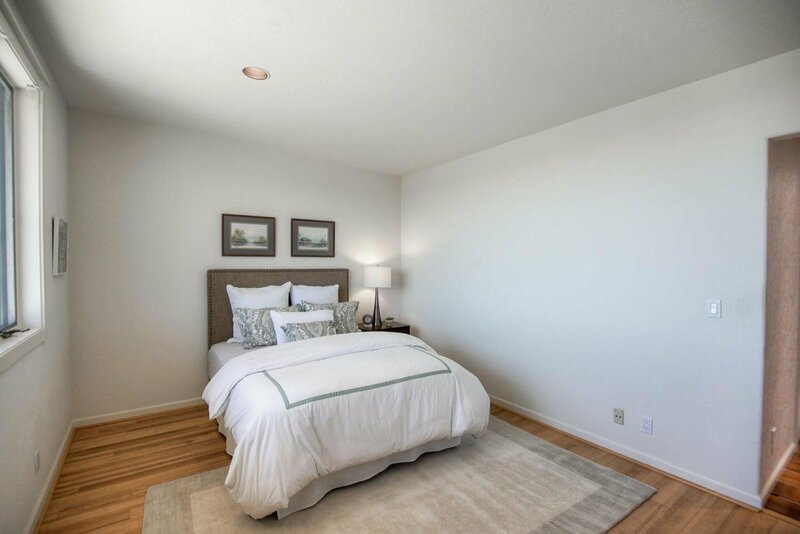 Detailed quality finishes flow throughout with wood trim, broad windows and exposed beam vaulted ceilings with skylights for an open and bright interior. 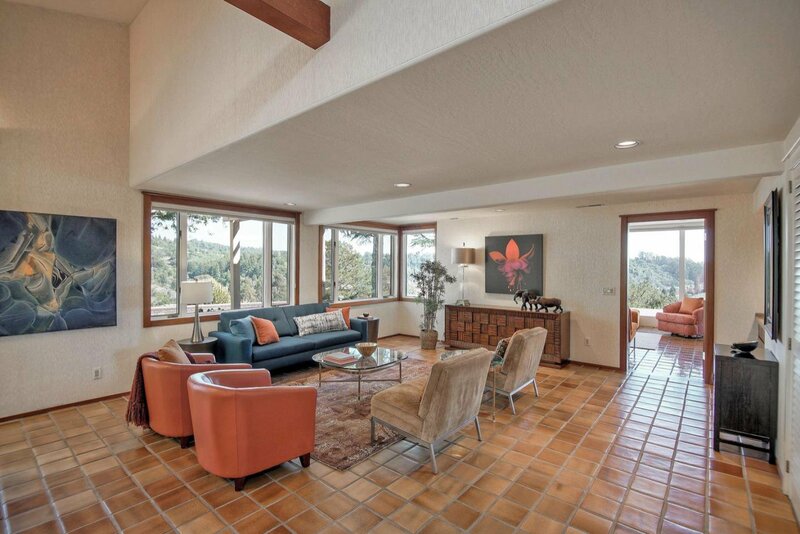 A vast living area that opens up to the den with floor to ceiling windows and spectacular views. 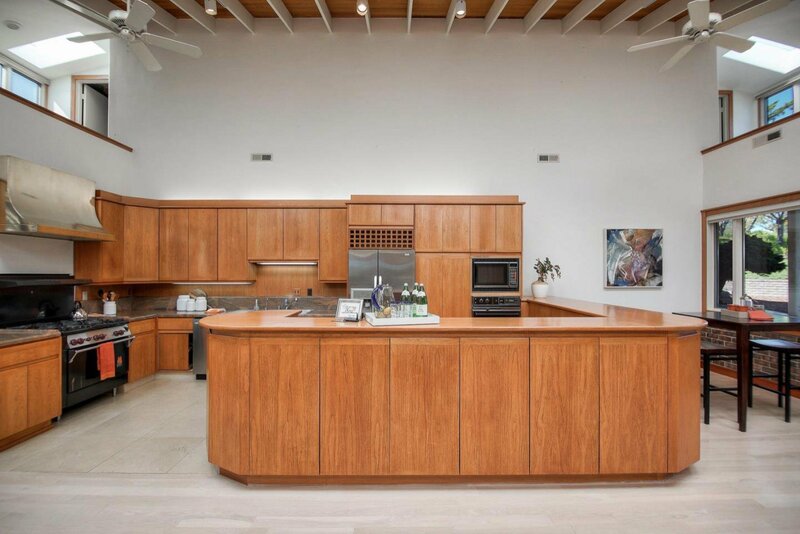 Well-appointed with built-in stainless-steel appliances and granite counters, the massive open chefs kitchen is ideal for culinary entertainment with a wraparound bar and dining area. 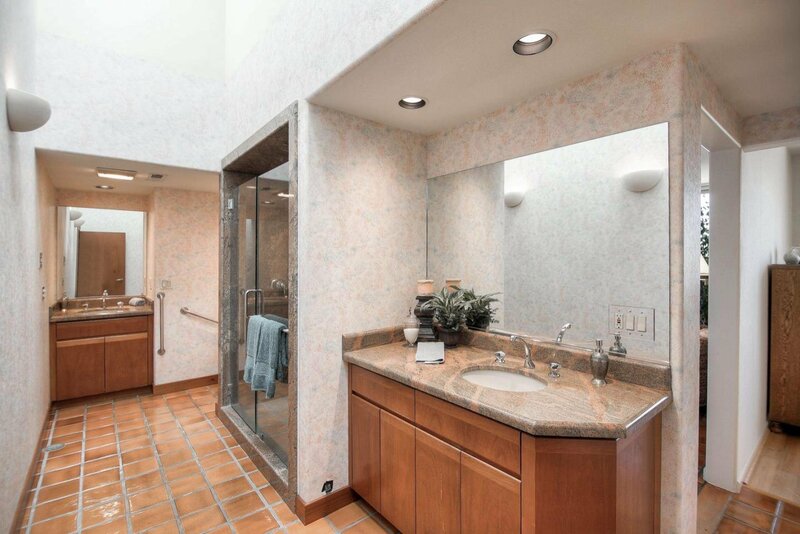 The master suite offers incredible ocean views and a lavish bathroom. 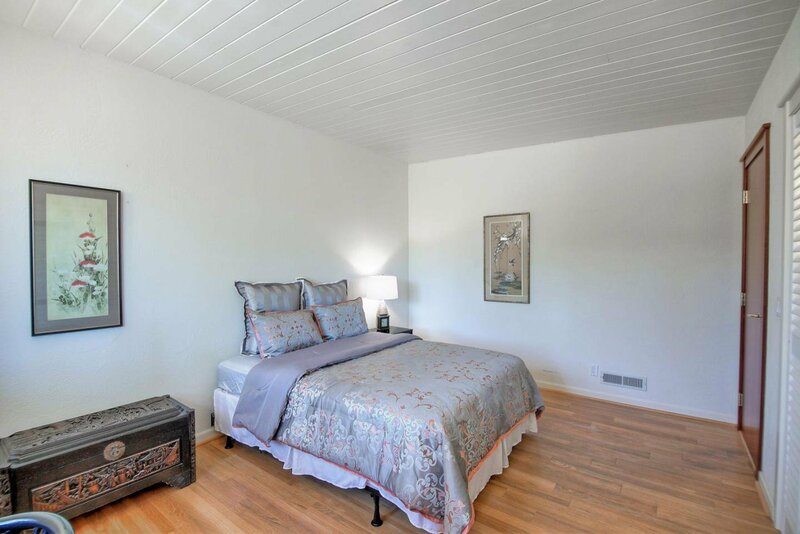 The guest quarters offers privacy and separation of space with its own bedroom and attached bathroom. 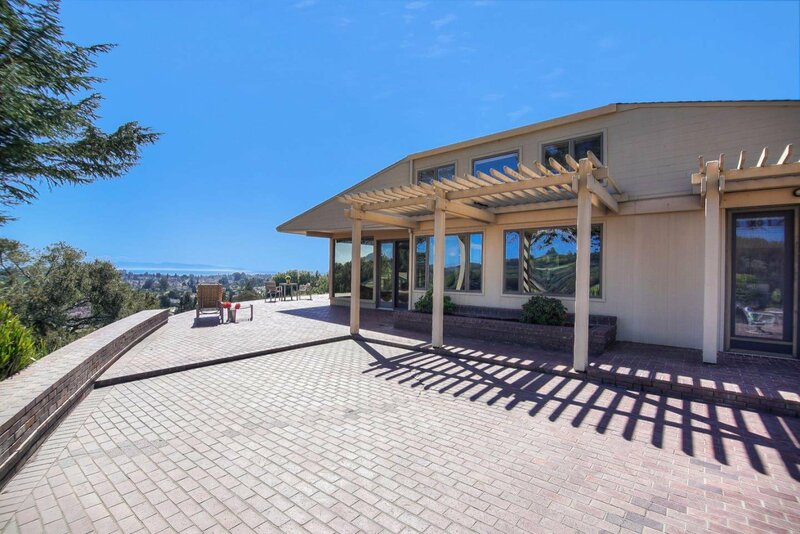 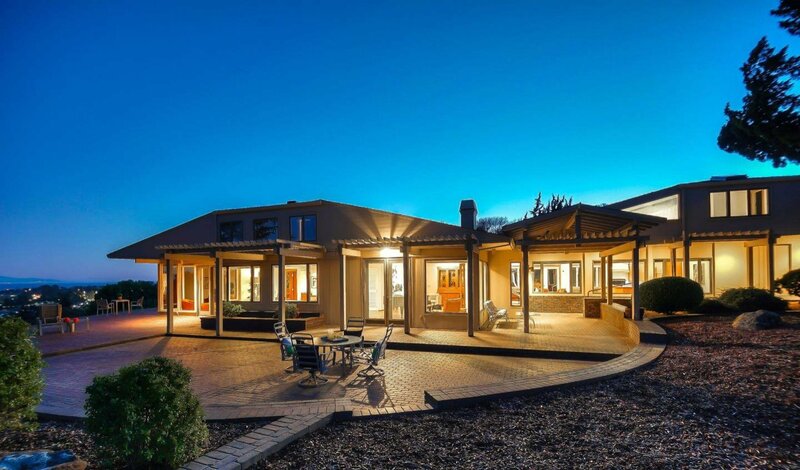 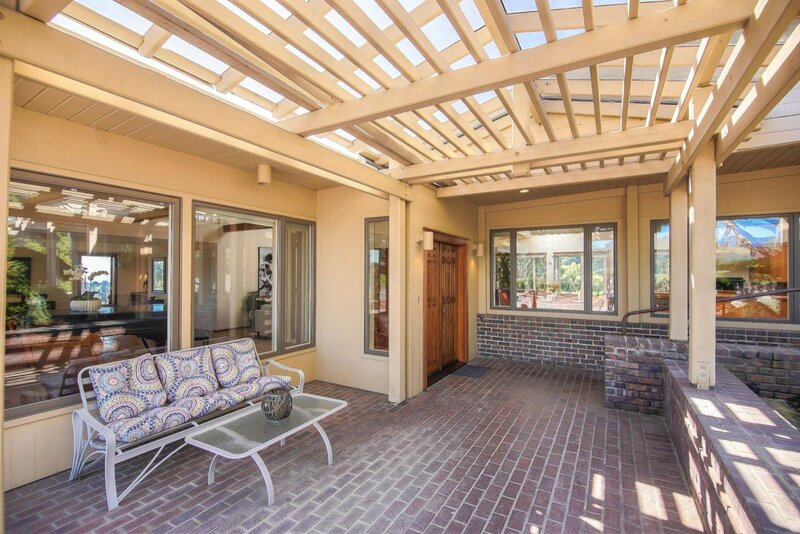 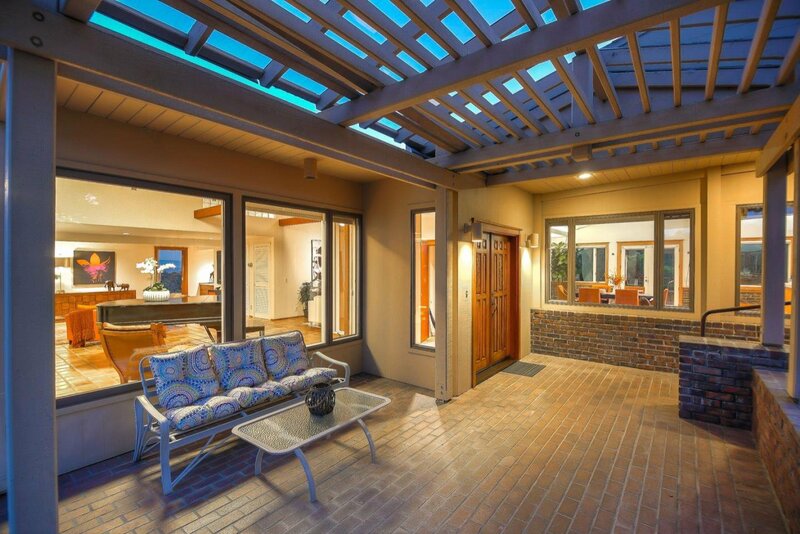 Entertain al fresco on a sprawling brick patio in the immense backyard with dazzling views of the ocean, natural surroundings and the Monterey Bay. 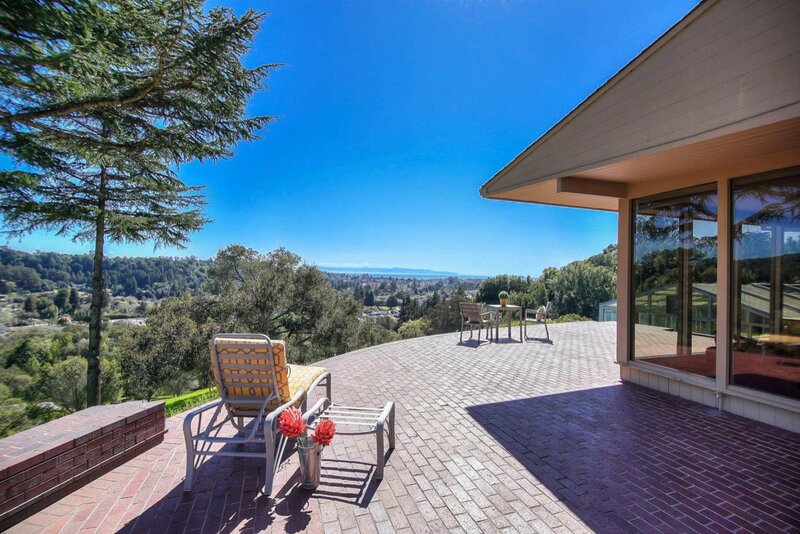 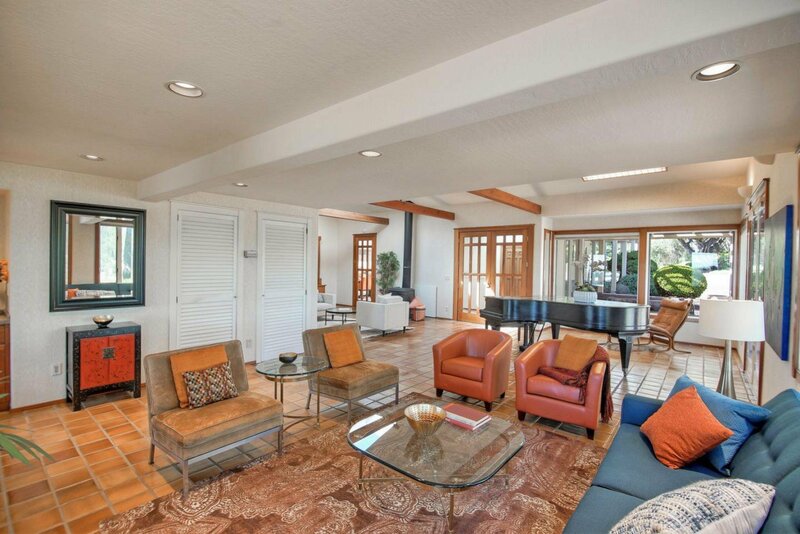 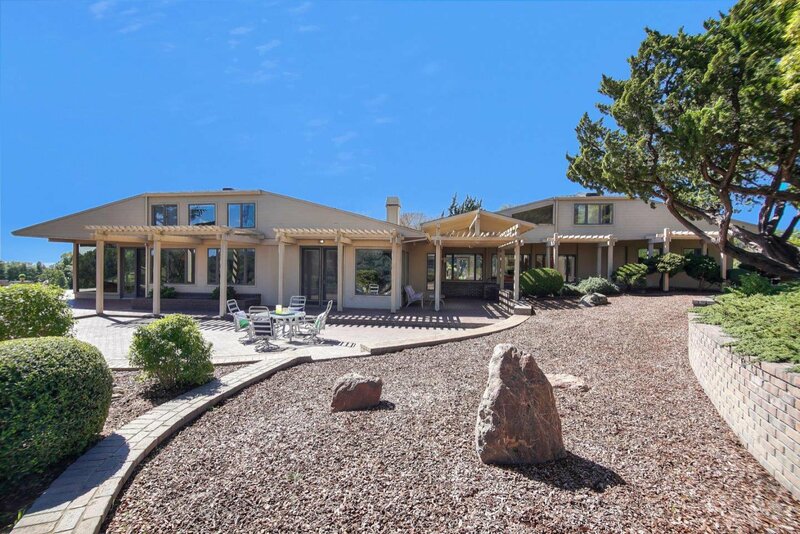 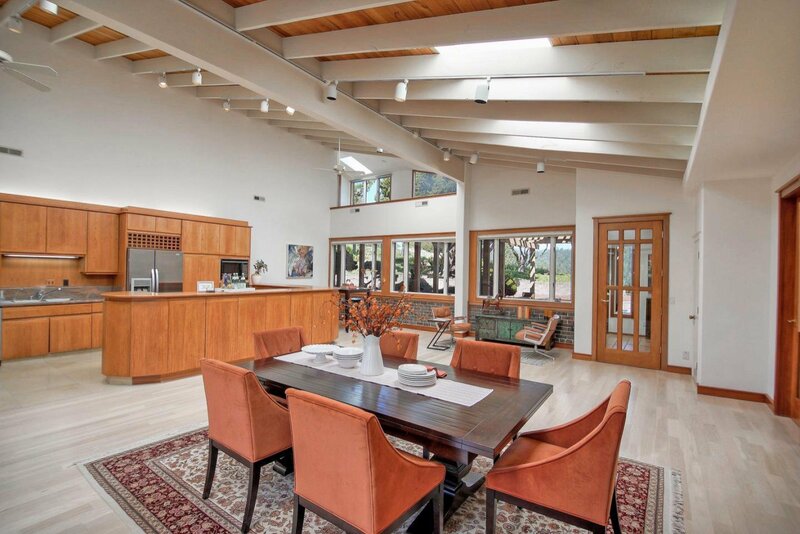 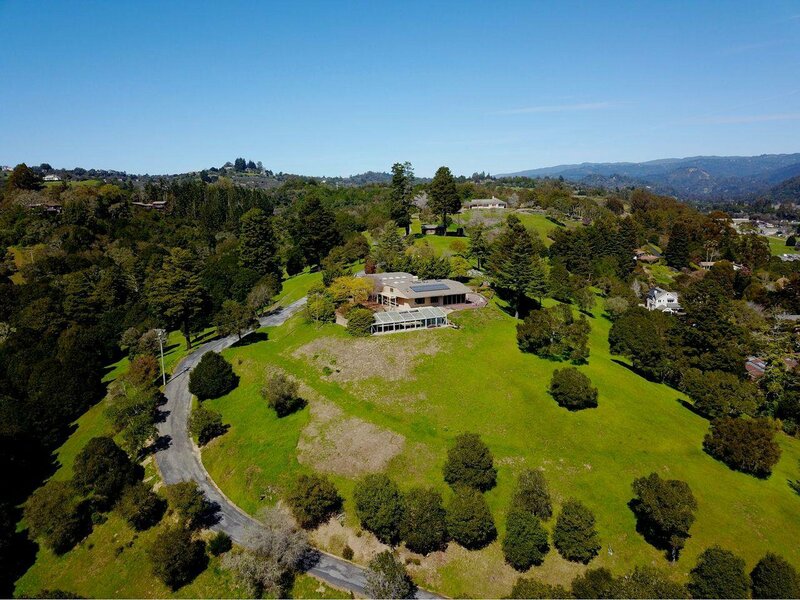 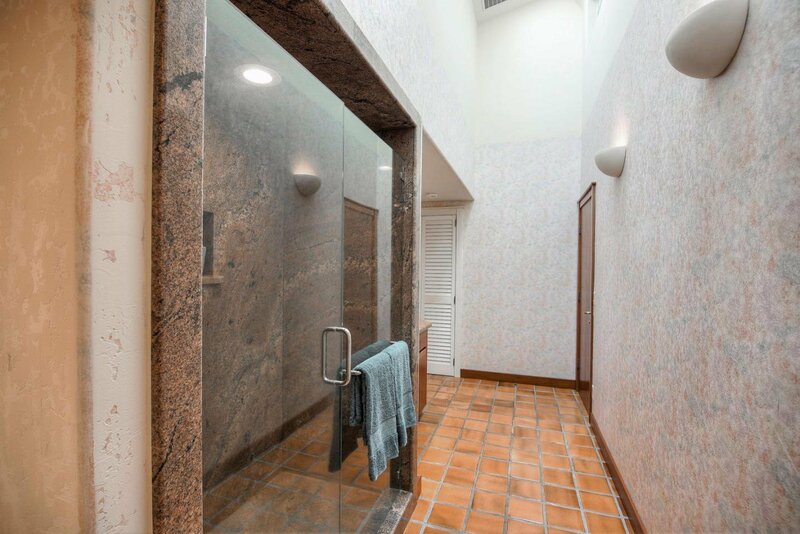 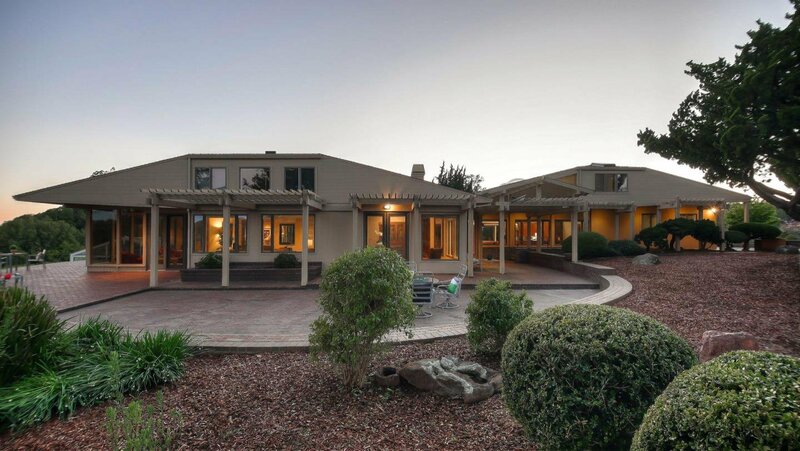 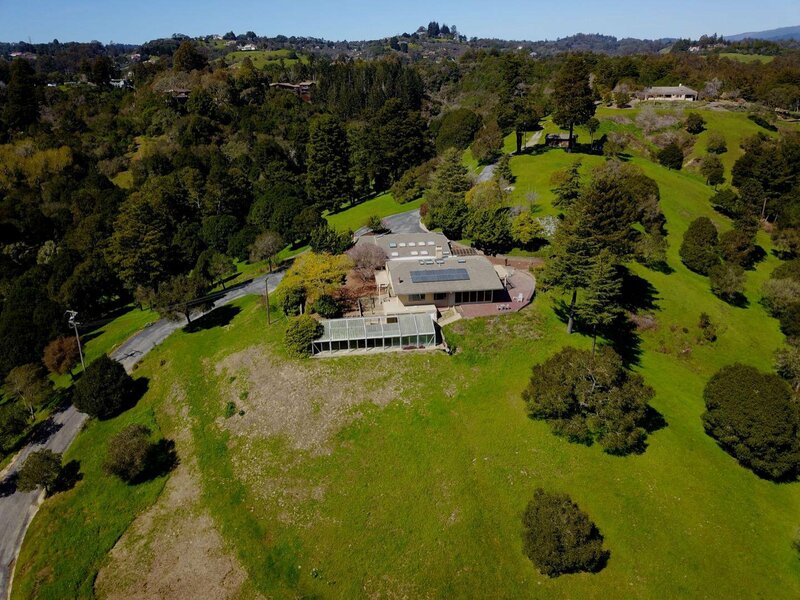 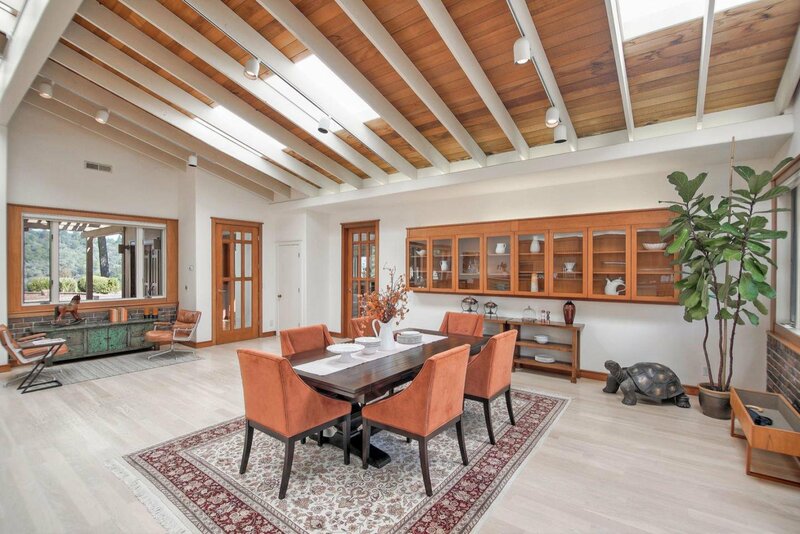 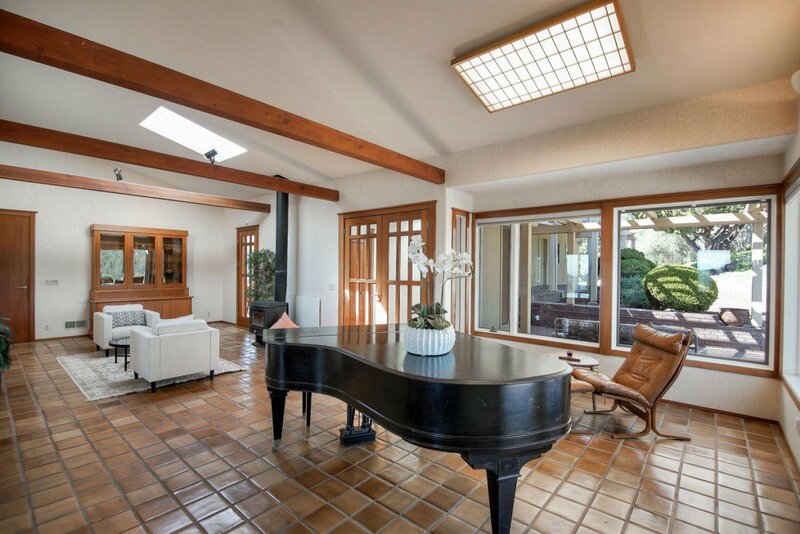 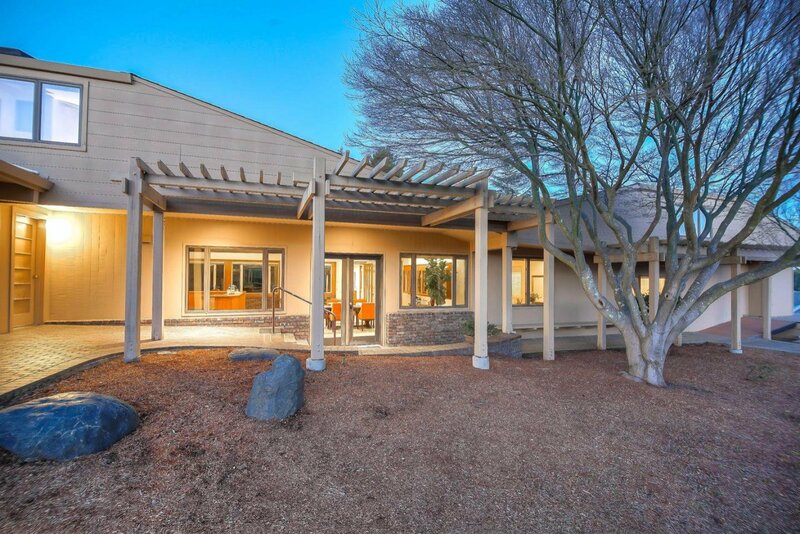 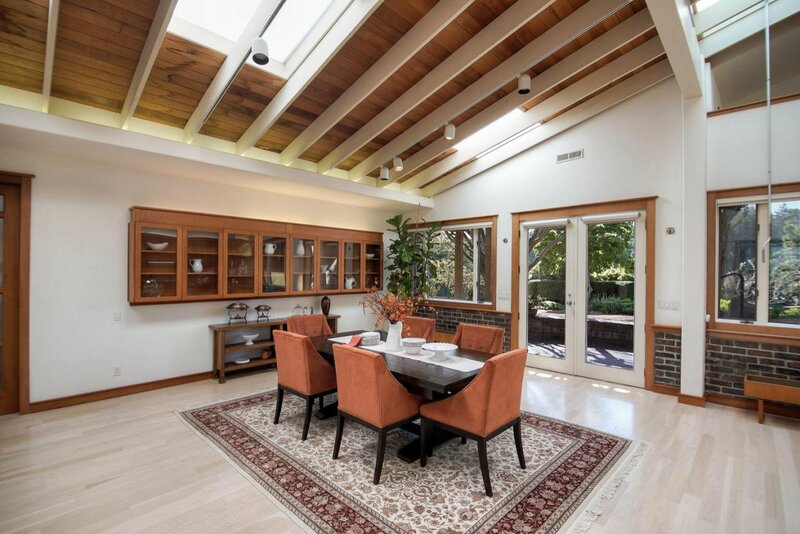 Enjoy peace, privacy and picturesque views in this sophisticated home.